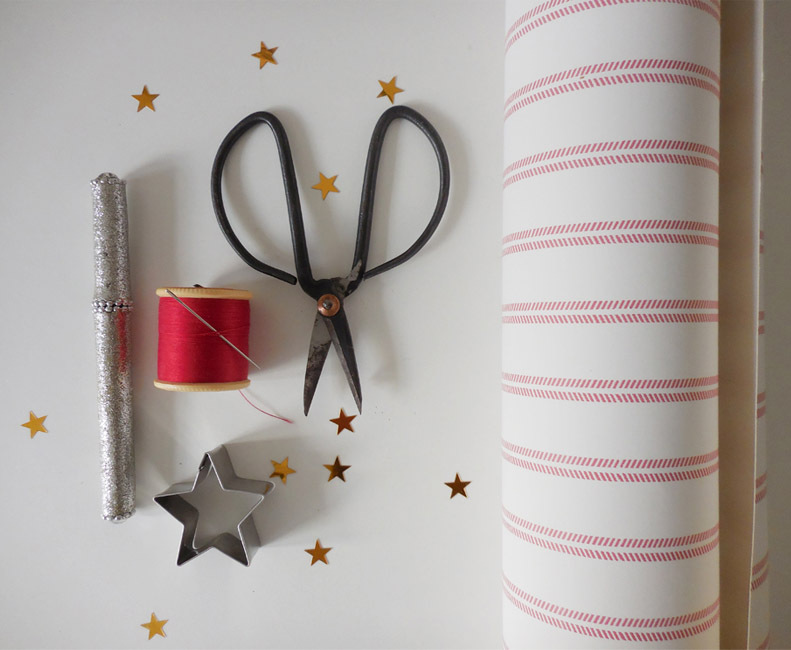 The run up to Christmas is my favourite time of year as I love all the planning and preparation that goes into the festive season, especially the crafting! 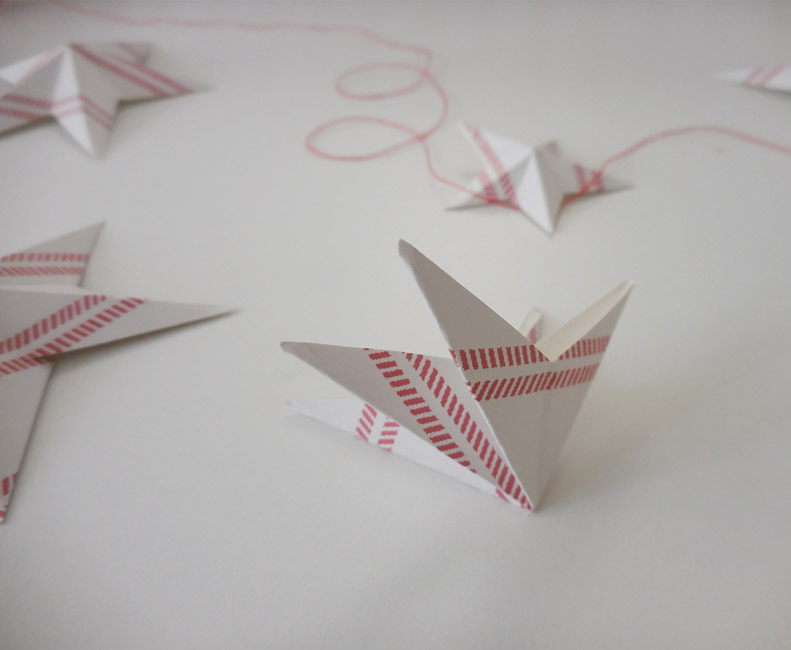 Thanks to happy memories of threading together colourful paper chains and cutting out snowflakes as a child, paper crafts and Christmas just go together in my book. 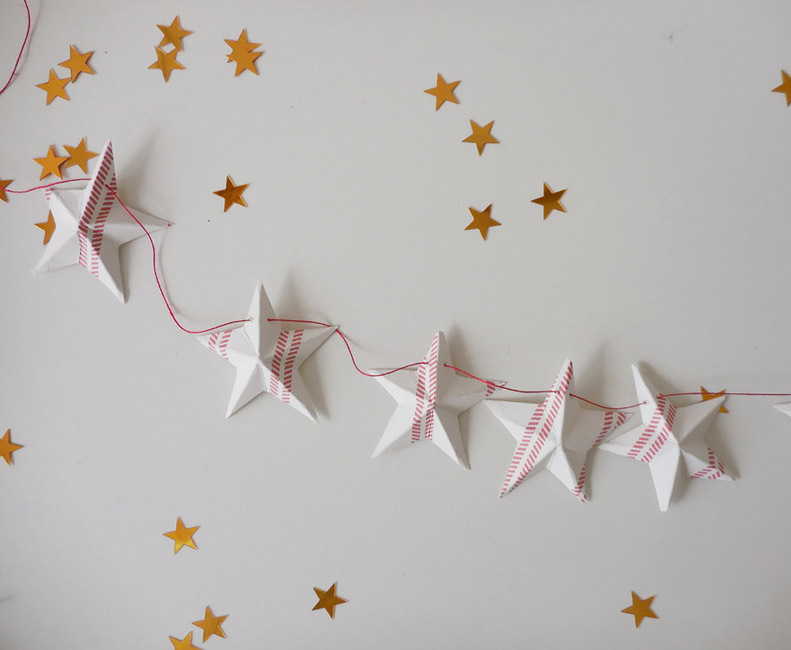 This year I decided to upgrade the simple paper garland and make a Scandi-inspired 3D star garland that should be smart enough for a mature living room. 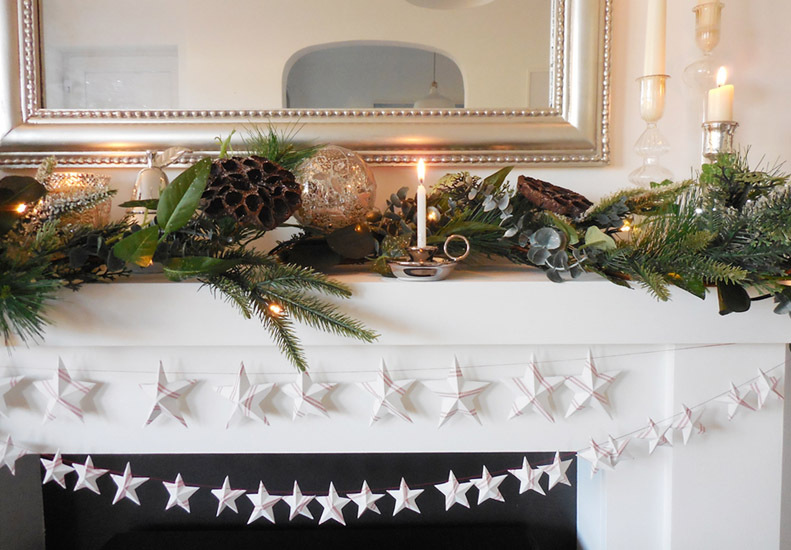 It’s a simple DIY that’s fun to make and looks very pretty when draped across a mantle or in a lovely sweep across a plain wall. 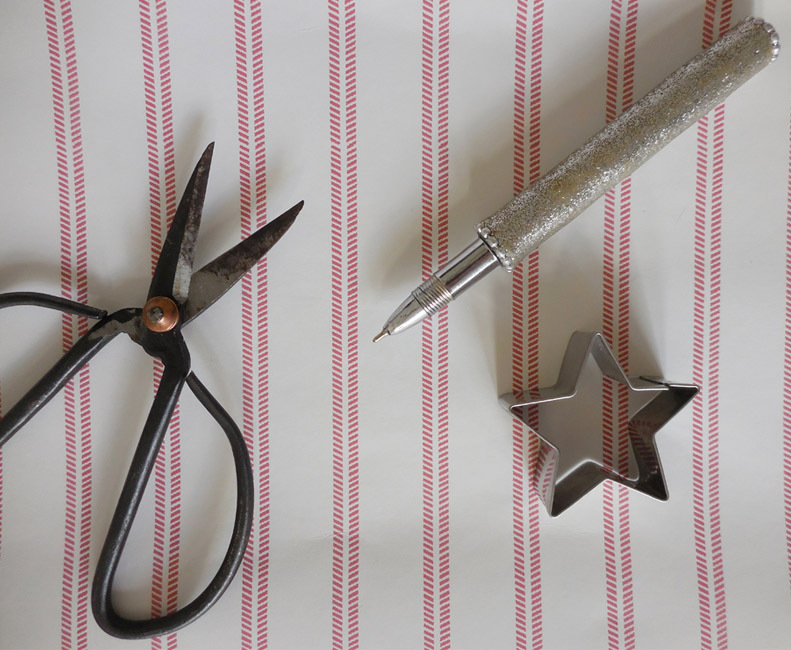 For this quick tutorial you will need a roll of wallpaper, scissors, a needle and thread, and a star shaped cookie cutter. For a festive feel, reds or metallics work best. I’ve chosen Henley Stripe wallpaper in pale cranberry to create a simple, Scandi look. 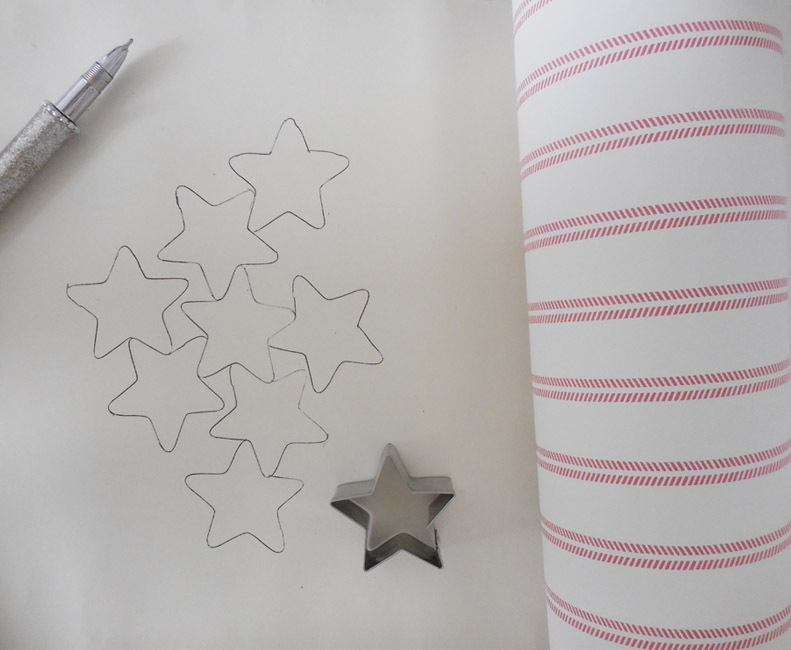 Use the cookie cutter to trace and cut out a galaxy of stars. Make them any size you like. 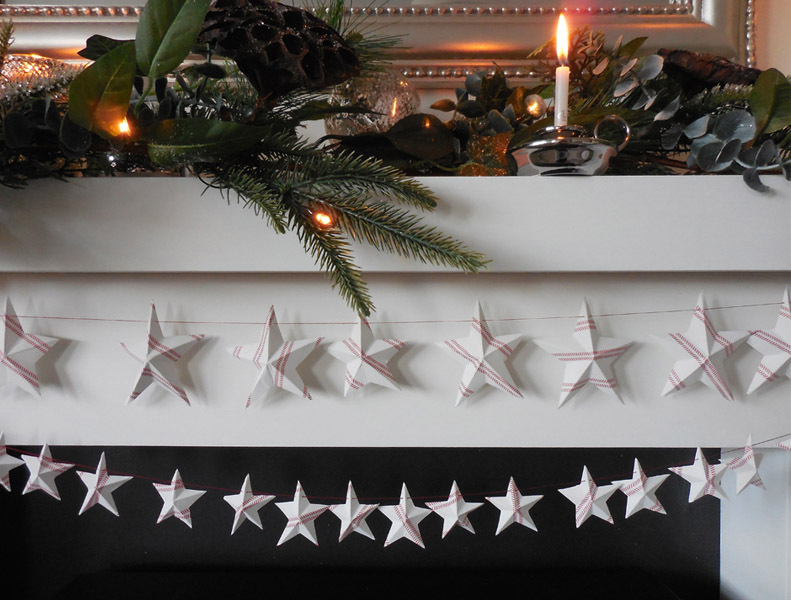 To make a small garland, cut them all the same size, or if you’d like a more organic garland cut them different sizes. Take one of the stars and turn it over so you are looking at the reverse side. 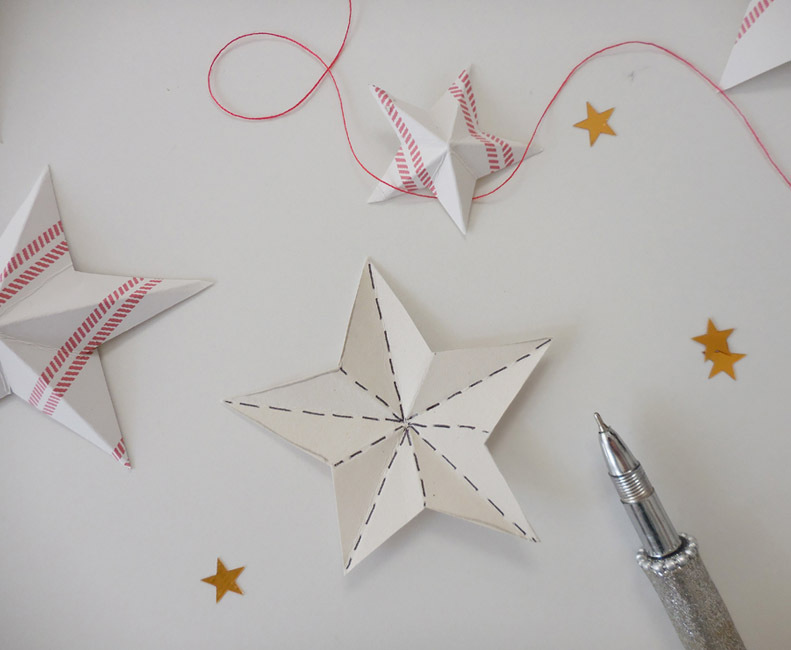 With a point at the top, fold the star neatly in half and press firmly along the crease. Repeat this fold through the center of each of the 5 points. Use the dotted lines in the photo above as a guide. 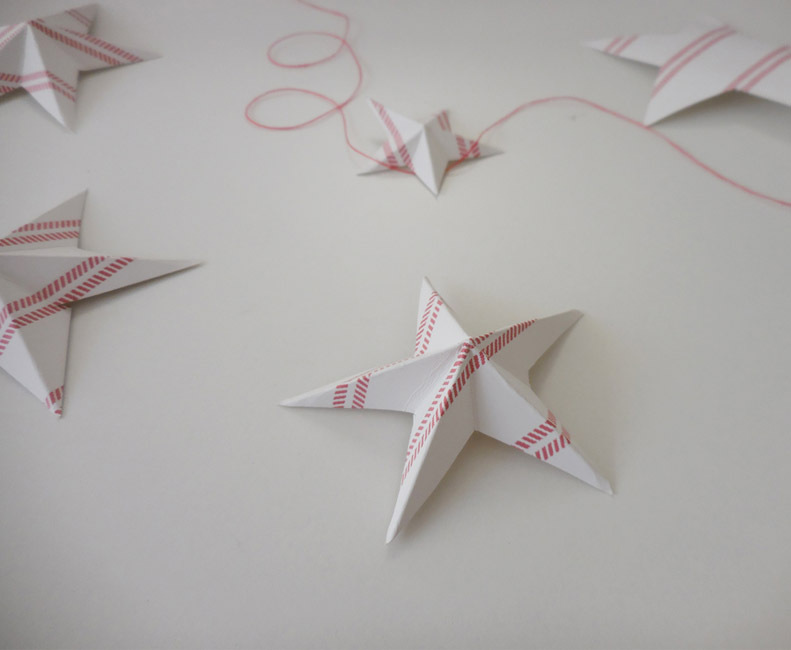 Fold the star into a small triangle (it will naturally fall into that shape) and press the creases to a sharp central point. Unfold and you will have a 3D star. Repeat this for each star. 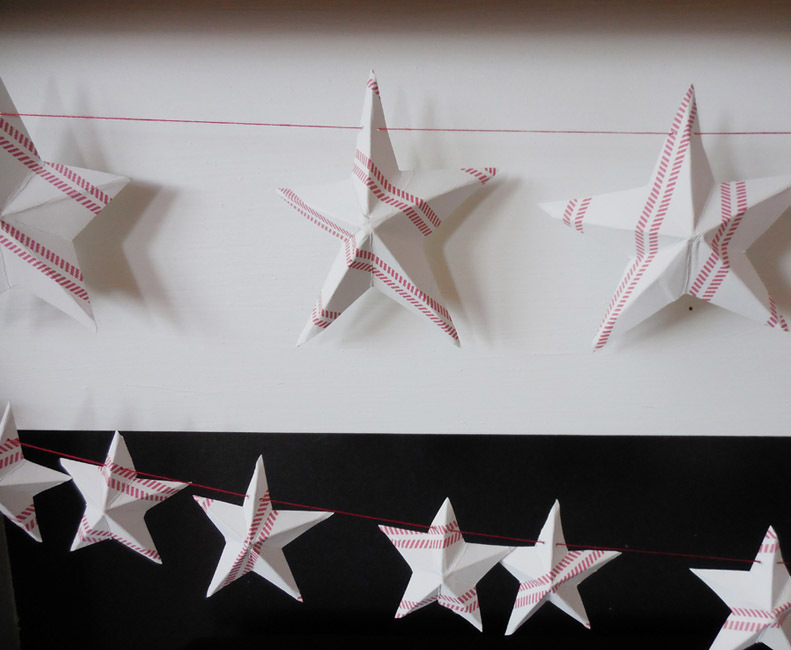 Once you have a group of 3D stars, thread a needle with red or gold cotton, and then string your stars together by piercing the top of each one. Continue until you have a garland of the desired length. 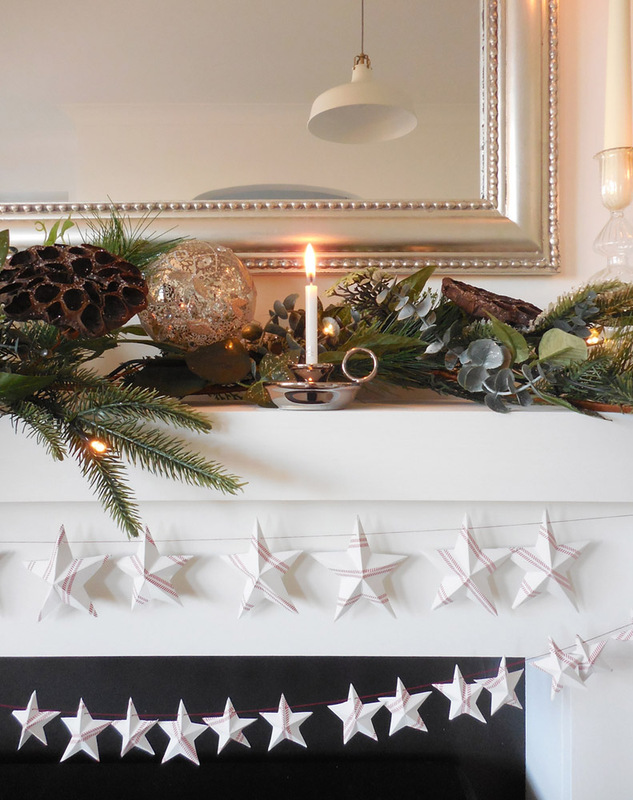 Hang your garland and step back to admire your handiwork! 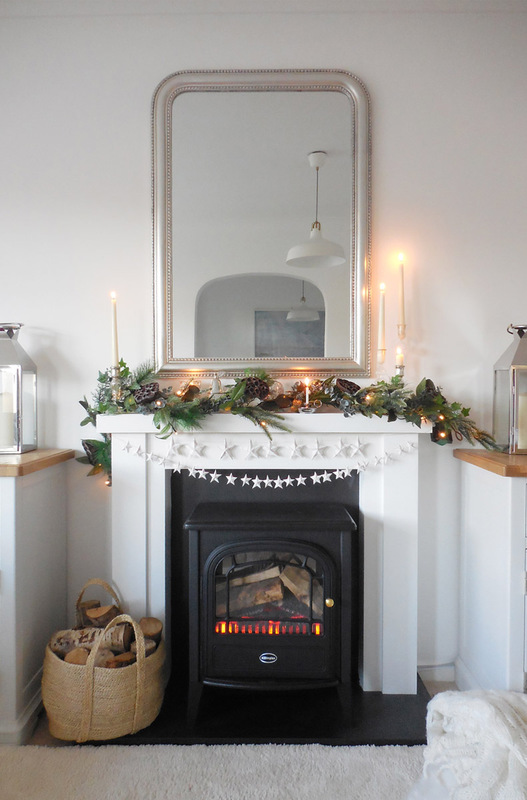 I draped mine across the mantelpiece and decorated with a big sweep of greenery. 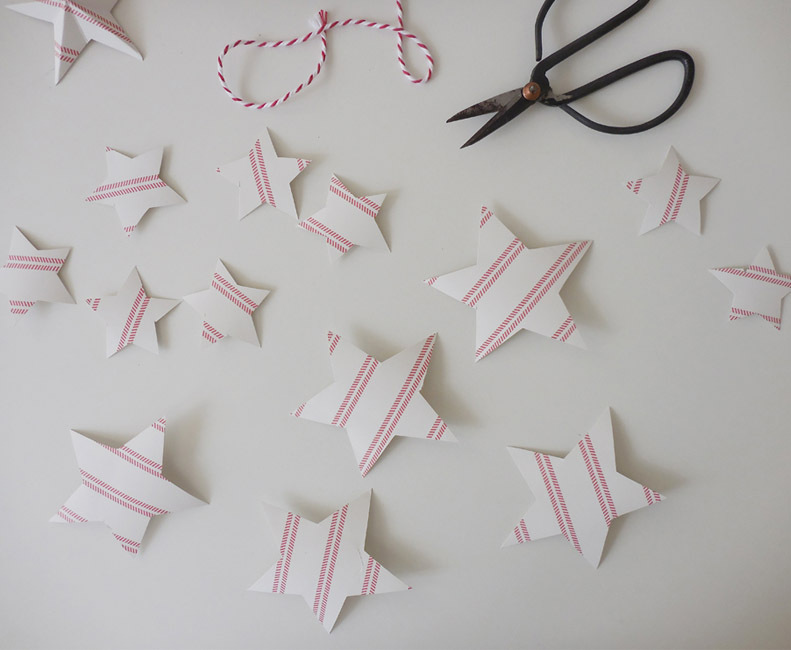 We love this Christmas make and do! For more crafting tutorials visit Style Made Simple. Don’t forget to check out all we have to in our Holiday Shop! 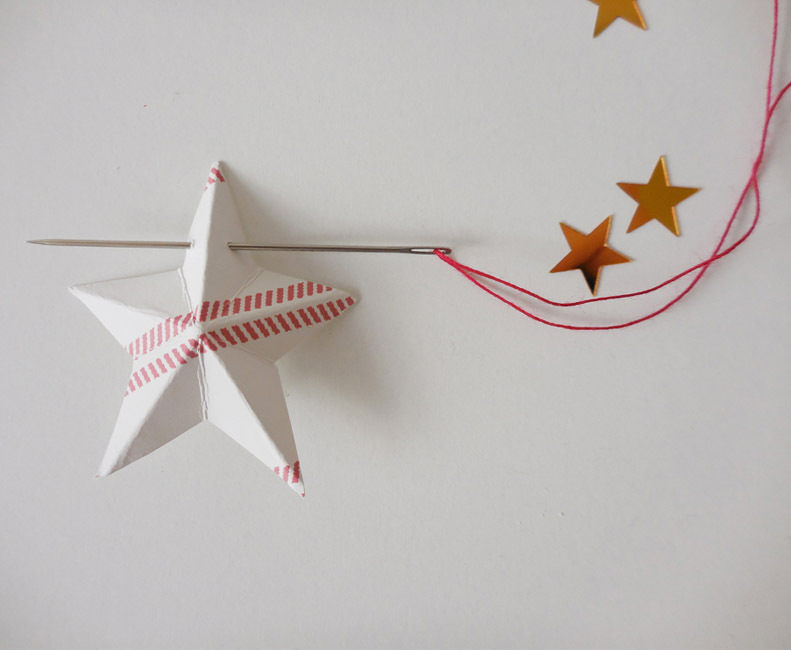 This entry was posted in Make & Do and tagged christmas, decorate, diy, garland, Henley Stripe, Henley Stripe Pale Cranberry Wallpaper, holiday decor, holiday decorating, Make & Do: Victoria's Christmas Garland, make and do, wallpaper. Bookmark the permalink.